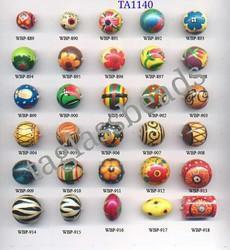 These painted wooden beads are exceptionally beautiful and are available in various shapes like round, cube, oval, spiral etc. These painted wooden beads are available in a wide variety of finishes, Sizes, shapes and colors may vary with handcrafted items. Check out our Beautiful Beads Collections! Offered in different Colors, Shapes and Styles, You are sure to find the perfect bead for your next Jewellery design. These beads are individually crafted by bead artisans and each one is unique. There may be slight variations in size, Color, or Shape. Can also be produce in custom sizes and shape as per customer requirement. 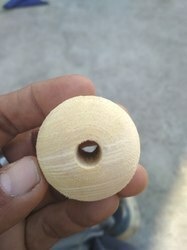 We are engaged in offering to our customer a wide range of painted wooden beads. These collections of Hand Painted Wooden Beads give a trendy touch to jewelry with a natural magnificence.